welcome november! oh my gosh welcome november? okay well i'll just roll with it i guess. this last weekend i was able to pick up that "big piece of art" i had in mind. when i first saw it here. and then i saw it here. i knew that i needed to pinch pennies as i knew it was kind of pricey. 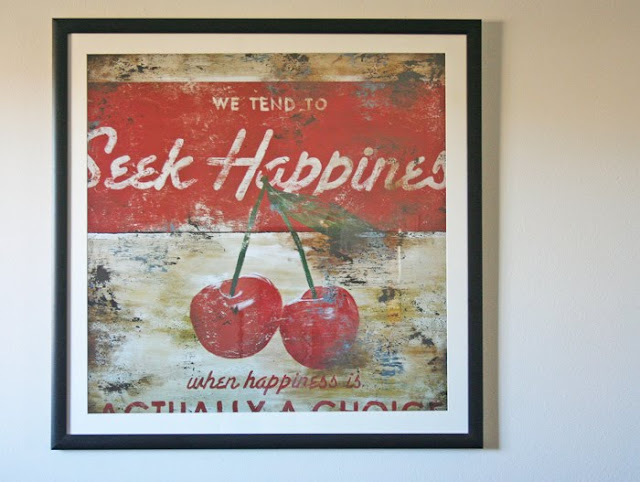 then i saw that print at homegoods for a whopping $70ish dollars but passed it up because...well i don't know why. and i've regretted it every since. so i kept saving pennies...and i then found it here for $4o ish and took that as my sign of yes in fact i was to get it. i then had it framed and it came out to be $100 less than what ballard designs is asking for it. granted its not a canvas but i love how it turned out. 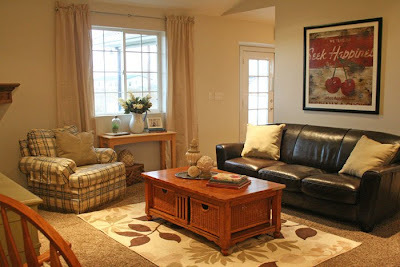 after taking in the picture from the last post of my living room i decided i didn't like a few things. here's a word of advise: ever want to see your room from a different perspective...take a picture and you will see what you like and don't like! on the opposite side of that wall is my dining area. 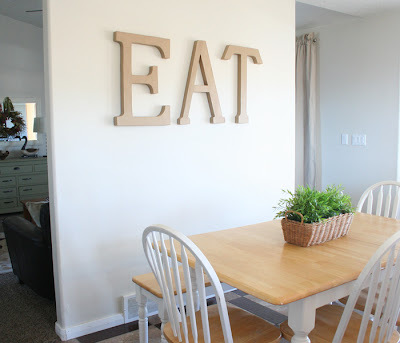 which i had the idea of getting large letters to spell out "EAT" i've been made fun of relentlessly by the husband, and every time he comes in the room he'll think of more letters we need to get so he can change and keep coming up with new words to place on the wall. not to mention that he also had the question for me "so if we have the word "EAT" over our dining table will we also have to get the word "POOP" over our toilets?" i told him to stop already. he's having too much fun with this and i don't think there's going to be any stopping any time soon. okay back to sewing i only have a few more hours till kids get back from school! Very Nice print! Love the look! I need to look for some neat picture frames for some family photos! Hopefully I get some good deals too! Oh, good job! 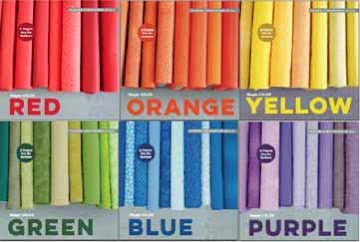 And you probably have a few pennies left over to purchase something else, like more fabric :) Congrats!! i have "eat" letters in my kitchen too. my husband also suggested that we get "poop" for the bathrooms. boys.. "poop"!!!!! HILARIOUS! my hubby would probably have said something similiar! haha, my husband would have said the same thing! dude...i got mine at world market for $70 ( it was on sale from $99 if I remember right) that one at Ballard Design is hecka expensive! Love your living room! I also have "EAT" in my kitchen, right by our table. When people comment on it, I just say that it reminds my kids (ages 8,4 &3) what they are SUPPOSED to be doing when at the kitchen table (rather than yelling, getting up and running around and picking at their food). All I have to do it point to it and they get back to business. Love Rodney Whites work...I have liked that very same print for a long time now as well, but have always seen it ver pricey. You got a pretty good deal on it with the frame and all and it looks great over your sofa. LOL at the hubby with all the spelling funnies. sometimes waiting pays off :) it all looks great to me! Love the print! Congrats on the new house. That sounds like something that my husband would say! 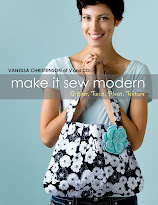 And I cannot wait to see what you are sewing up!! Yup, my husband would've said the same thing. Last week, I was putting fabric up on the wall and telling him about what I was going to do...he said, "Oh I know, your going to put those together and call it creative." lol.... Anyways, I just wanted to let you know that I featured you today. Thanks for sharing such fun ideas! i laughed out loud over the poop over the toilets! sounds just like my husband! so cute v. i knew when i looked at the price of that thing that you had found it cheaper somewhere else. you are the discount shopping guru. dave would do the same thing. they just don't get it sometimes. That's totally what my husband would have said too! Love the happiness sign. Thanks to you...and Camille...and Allison...I'll have to get one too. Sigh. I have the green/yellow lemon drink one that says "It will cost nothing to dream and everything not to" or something like that." Like his stuff a lot. Looks great in your room! I say you go get "poop" and put it up over the toilet, just to show him what a great idea your husband had!! great print and good reminder. I probably don't need a reminder to eat though. But I like it! You should hang a little metal plate in front of the eat letters and give him some refrigerator magnet letters and let him have at it! I love that print, I love those letters, I love love love it all. Your husbands remarks sound like somthing my honey would say. Too funny. my brother-in-law likes to rearrange my Christmas "believe" blocks to read "bee evil" every.single.time he comes over during the holidays. Looks Fabulous!!! Hubby is a pretty funny guy. I've been wanting to put EAT letters on top of my cabinets forever -- just never get around to it. Yours look wonderful! I've been searching for an area rug for months...LOVE yours. Can you please share where you got it?